Summer is still in full swing, but fall is just around the corner! Don’t let the back-to-school season sneak up on you and your family. While back-to-school for most is a busy time full of school shopping and parent-teacher meet and greets, you should also include dental visits for your children on your to-do list! Keeping their mouths healthy and happy is essential for a productive school year. Here are some hygiene tips to keep your kids smiling all school year long! Back-to-school dental appointments can fill up faster than usual for dentist offices, so be sure to make it a priority to get your child in for a check-up. Once you’ve got the back-to-school visit taken care of, go ahead and plan the rest of your child’s appointments in advance. That way, you are able to plan around them once their extracurricular activities begin, giving you one less thing to worry about! One thing that will help your child’s visit go smoothly is keeping them on a healthy diet. Not many kids are a fan of the dentist, but having regular cleanings doesn’t have to be a scary thing! A healthy diet can help prevent cavities and plaque buildup. When packing your child’s lunch, remember to include things like fruits low in citrus, cheeses or almonds, and avoid juices/sports drinks that are high in sugar as well as sodas. When it comes to staying hydrated, water is always the best option! Don’t forget: Good hygiene starts at home! Encourage your child to brush with you in the mornings until they are able to get on a schedule of their own. Some dental habits vary depending on the age of your child, so be sure to check and make sure they are getting age-appropriate oral care. Lastly, be prepared for a dental emergency. While you’re at your child’s dental appointment, pick up your dentist’s business cards. Give these cards to your child’s teacher, or put in their backpack and carry one in a purse or wallet as well. Having the contact details for your preferred dentist on you at all times can give you some peace of mind if an oral emergency occurs. Going back-to-school can be a hectic time for both children and parents, but with the help of these oral health tips, it should help make the process a little easier on everyone! 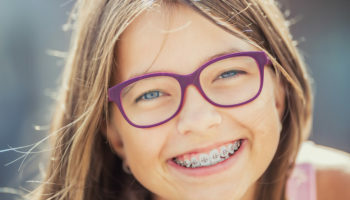 Your child will be able to go back-to-school with confidence in their healthy smile! 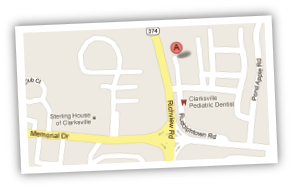 Contact Richview Family Dentistry at 931.647.2243 and schedule your child’s back-to-school appointment today!